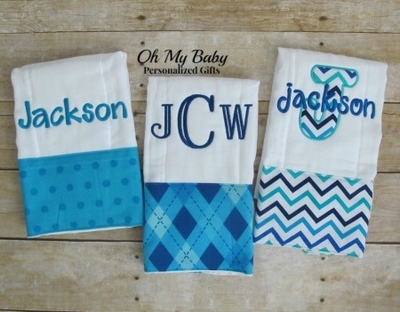 Set of 3 personalized burp cloths. Adorable blue theme. Variety of name and monogram designs.